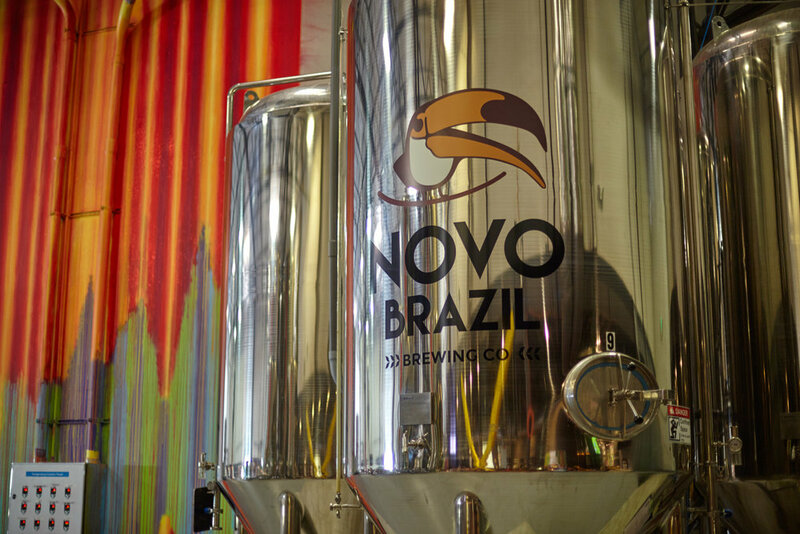 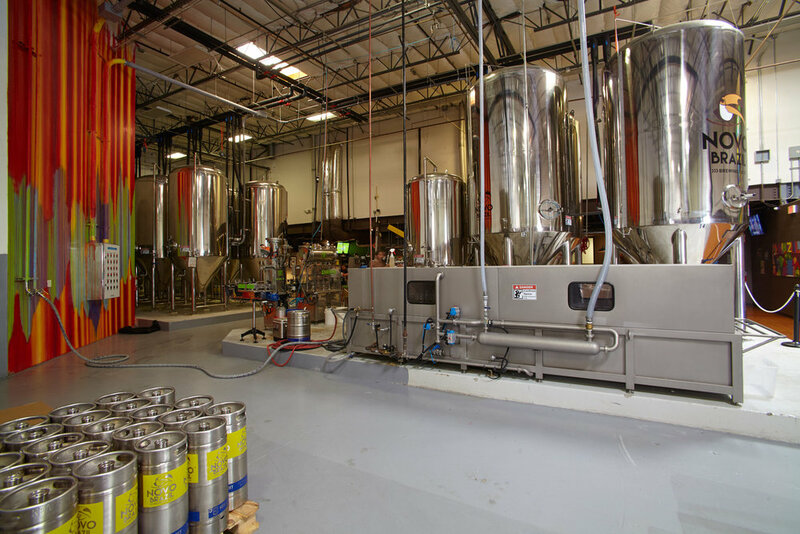 This large production brewery occupies 13,400 S.F. 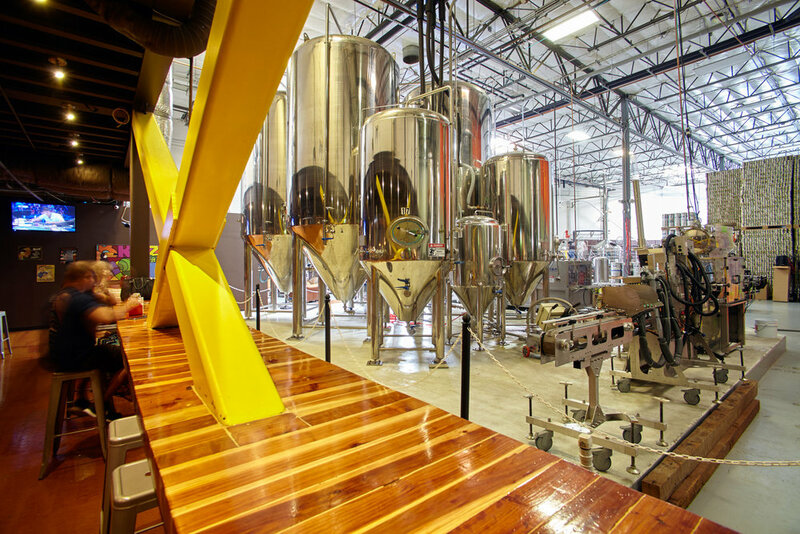 with a 20 BBL brew house and comfortable tasting room. 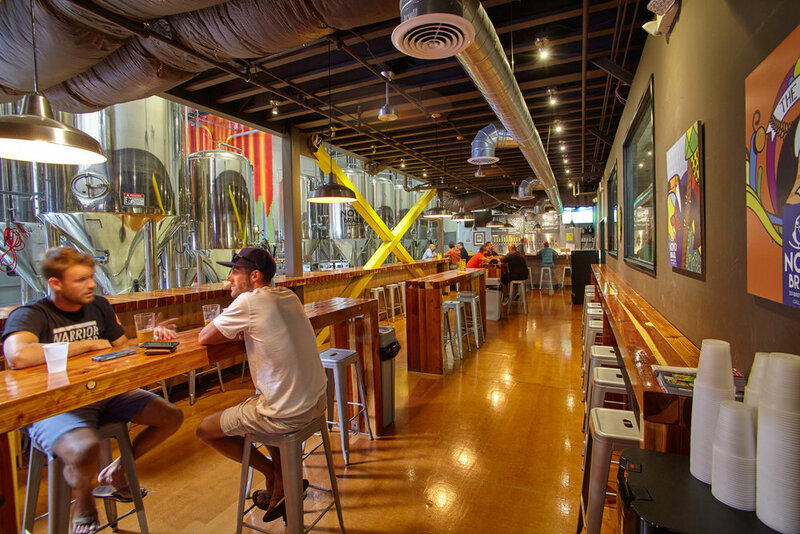 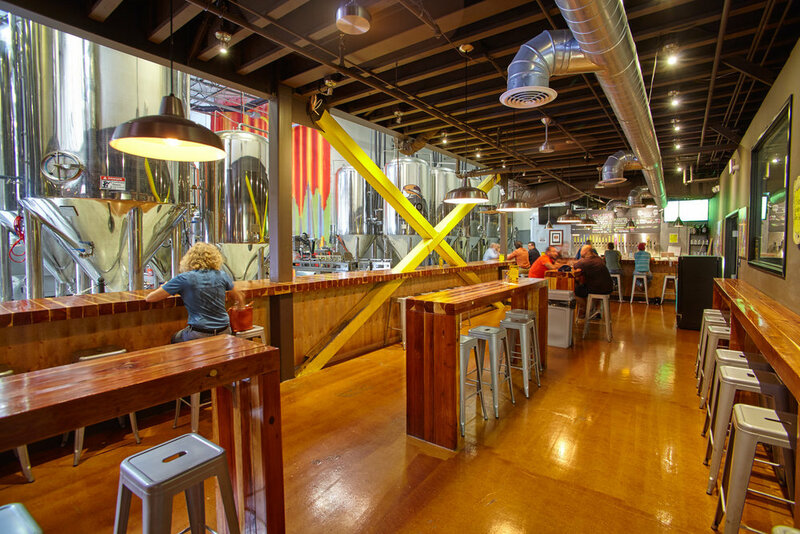 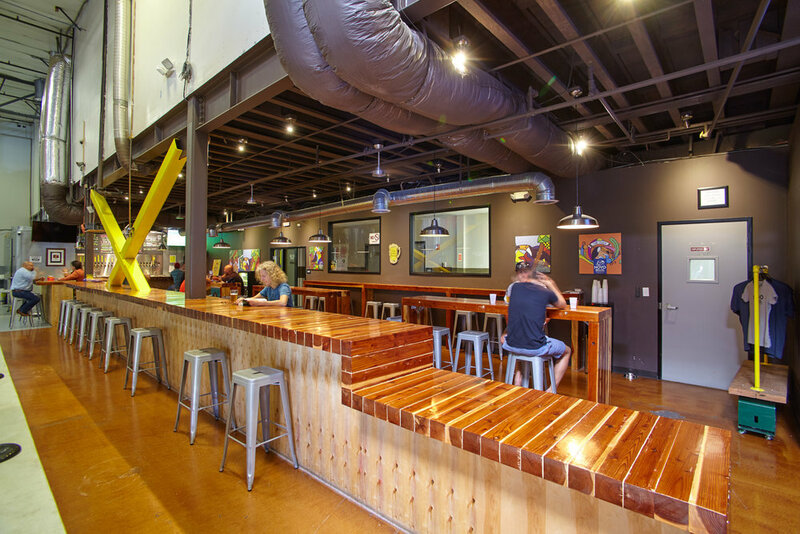 Once a medical equipment manufacturing space, the original structural frame work was exposed to reveal the original bones of the building, tying the tasting room and brewing areas together.